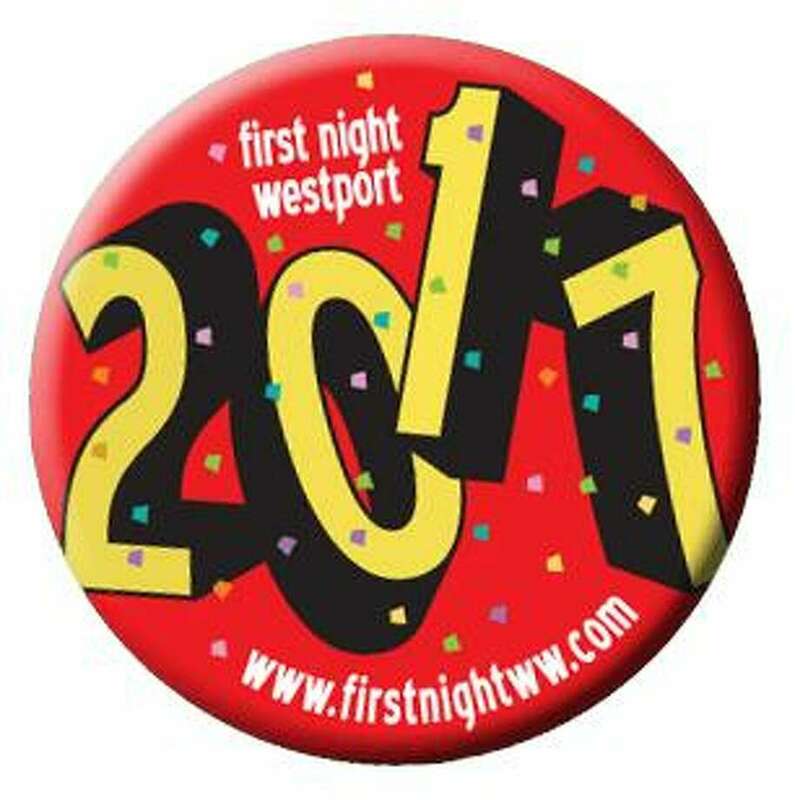 Westport First night button for 2017. WESTPORT — First Night, a community-wide festival to celebrate the New Year, is set to be a joyous occasion for all in its 23rd year. The Westport festivity is one of only two remaining First Nights in the entire state, the other being in Hartford. Barbara Pearson-Rac, president of the event, said the all-volunteer staff is the reason Westport’s New Year’s Eve event has been able to remain financially viable for so long. The idea of First Night originated from Boston in the 1970s as a drug and alcohol free New Year’s Eve alternative open to all ages. “It’s a great example of our community coming together around a fun event for all ages and that’s family oriented. I think it’s great that for 23 years we’ve offered a substance free alternative to our residents that’s fun and accessible,” First Selectman Jim Marpe said. The arts-centered party features over 30 different events, throughout Westport, for children, teens and adults. It kicks off at 3 p.m. when partygoers can watch the Survivors Swing Band at the Center for Senior Activities. At a price of $15 per person, patrons will be free to roam around town at the following locations: Branson Hall and Seabury Center, Westport Historical Society, Westport Library, Toquet/Youth Center, Jesup Green, Westport Town Hall and Saugatuck Elementary School. “The kids have a ball,” Pearson-Rac said. Saugatuck Elementary School will serve as a hub for activities for both parents and children. They will have two new children’s performers, a ventriloquist act, a magic genie, face painting, food and much more, Pearson-Rac said. There will be free busses running from Jesup Green to the elementary school and everything else will be within walking distance. Family Zumba will be a new addition at Branson Hall this year and a steel band will be performing in town hall. The fireworks will also be sure to impress, said Pearson-Rac. Events will run until 10 p.m.
“We’re fortunate to have a great group of volunteers led by Barbara Pearson-Rac who make first night happen every year and they’ve put together a great combination of activities. It’s a fun safe and community driven event that a lot of our families look forward to,” Marpe said.